We are sad to report that Jenny Meirens – creative and business partner to Martin Margiela – passed away on Saturday in Italy. According to an obituary, She was 73. 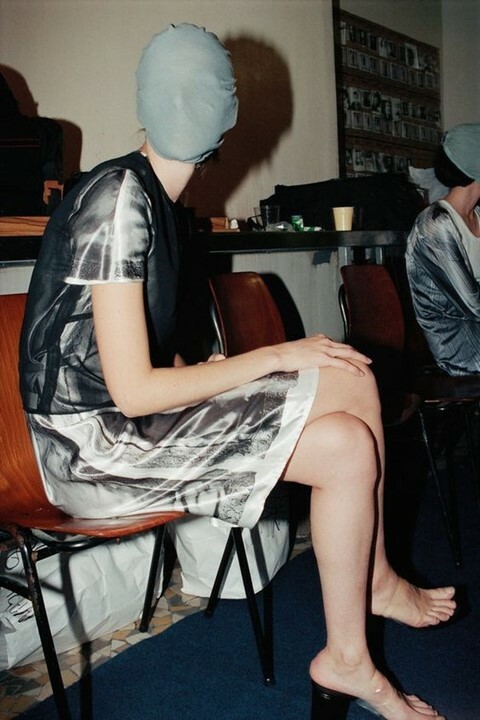 The right-hand woman to Martin Margiela, Meirens was similarly mysterious and often refused interviews and photographs. However, earlier this year, Meirens gave a rare interview to the New York Times, written by AnOther Magazine’s Susannah Frankel. In the piece, she discussed her work on the brand over the years, including inventing the famous four white stitches, favoured in place of a traditional label. “When people come into a shop and see strong clothes with no name on them they are going to be more curious,” she said. She is also featured in forthcoming documentary We Margiela. Meirens opened her archives to its creators, who interviewed her extensively eight times. The resulting voice-over forms an important part of the film. Over the years, Meirens and Margiela pioneered ideas which became synonymous with the house, such as street casting and non-traditional invitations. For AW89, they placed a classified ad in a newspaper and then cut out the clippings to mail as the invite once it was published. Tributes have begun to appear on social media – among those remembering Meirens are Patrick Scallon who was responsible for communications at Margiela from 1993-2008, Linda Loppa, the previous Head of Fashion at Royal Academy of Fine Arts in Antwerp, and make-up artist Inge Grognard who worked with Margiela for many years. Our thoughts are with the family, friends, and colleagues of Meirens. Beyond the history books, her remarkable contributions to the world of fashion will always have a place in the hearts of many.